When it comes to all things Nissan, few dealerships can outperform Rusty Wallace Nissan. Our Nissan dealer has a huge selection of new, pre-owned and certified pre-owned vehicles to choose from such as SUVs, sedans, crossovers, and pickups. So, where is this dealership located? 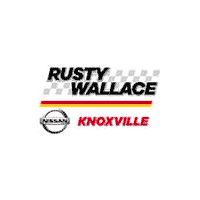 Rusty Wallace Nissan is located in the beautiful city of Knoxville, Tennessee, but it’s also known as Nissan Dealer Lenoir City because it serves much of the surrounding area. The consumers who have shopped here actually come from the surrounding municipalities of Kimberlin Heights, Oak Ridge, Maryville, Whispering Hills, Brentwood, Sevierville, and Grandview. Thanks to our extended reach, we are your Nissan Dealer Lenoir City. Unlike other automotive dealerships who base their success on putting pressure on the consumer, Rusty Wallace Nissan allows the consumer to choose what’s best for him or her. Yes, we have an informative website that can be accessed 24 hours a day or please contact us with any questions. We have a dedicated team to help to provide you with an amazing experience. Of course, this only scratches the surface of what you can expect when shopping for your next automobile. This is a stress-free environment that allows the consumer to explore because we truly don’t believe in high-pressure sales. The car-shopping process should be fun, but it should also be informative, and we have many dedicated professionals that are on deck for your benefit. Since we are conveniently located in the Lenoir City area, we try to provide the best easy-going process because of the high amounts of foot traffic. This Nissan Dealer Lenoir City is also family-owned. Rusty Wallace Nissan is a genuine service center for Nissan vehicles. We have some of the best mechanics and technicians in the region that will provide high-quality repair services at our Nissan Dealership Lenoir City location. These factory-trained technicians are certified while providing Nissan scheduled maintenance, Nissan service, tire balance, front-end alignments, brake replacement, tire rotation, oil changes and many more. Our state-of-the-art service center provides you the peace of mind knowing your vehicle is being serviced by a technician that specialized in Nissan repairs. Rusty Wallace Nissan, your Nissan Dealer Lenoir City, is waiting for your service, but it’s up to you to make the next step. Explorer the 2019 Nissan Altima near Lenoir City Tennessee. Click the link below to explore the Altima and view options, colors, trim levels and Altima inventory. Explorer the 2019 Nissan Frontier near Lenoir City Tennessee. Click the link below to explore the Frontier and view options, colors, trim levels and Frontier inventory. Explorer the 2019 Nissan Maxima near Lenoir City Tennessee. Click the link below to explore the Maxima and view options, colors, trim levels and Maxima inventory. Explorer the 2019 Nissan Rogue near Lenoir City Tennessee. Click the link below to explore the Rogue and view options, colors, trim levels and Rogue inventory. Explorer the 2018 Nissan TITAN near Lenoir City Tennessee. Click the link below to explore the TITAN and view options, colors, trim levels and TITAN inventory.